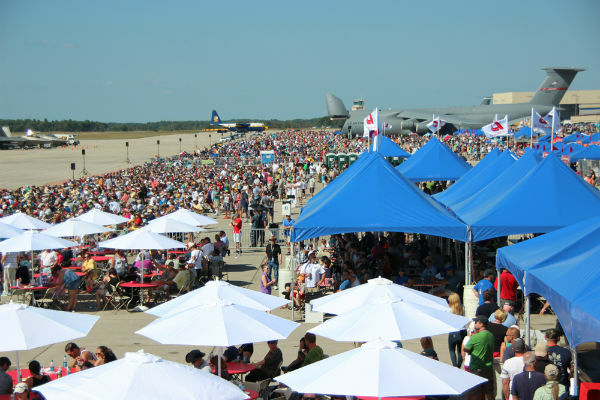 GENERAL ADMISSION TO THE AIR SHOW IS FREE AND OPEN TO THE PUBLIC. A FREE PASS IS REQUIRED FOR GENERAL ADMISSION. Upgraded Seating Options are available! Premium Box Seats - Premium Box Seats are assigned seats facing the show! Seats are folding chairs with backs - not bleacher seating. Seating area opens one hour after the gates open. 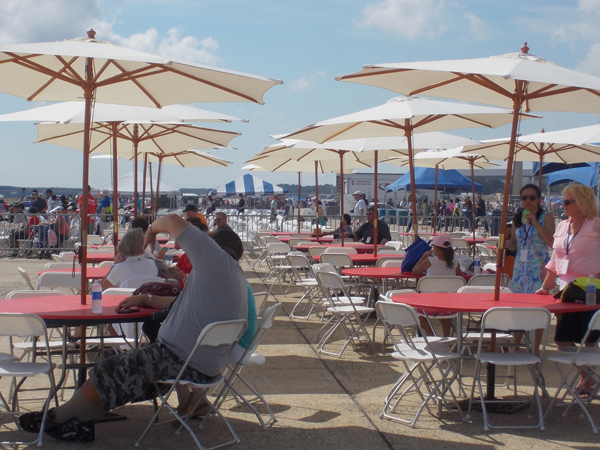 Flight Line Club - Enjoy all the action of the air show in the comfort of luxury seating on the Flight Line! The Flight Line Club is a catered shaded chalet. We offer a catered lunch, shaded area with tables and chairs where people can get away from the sun and also open areas without shade. 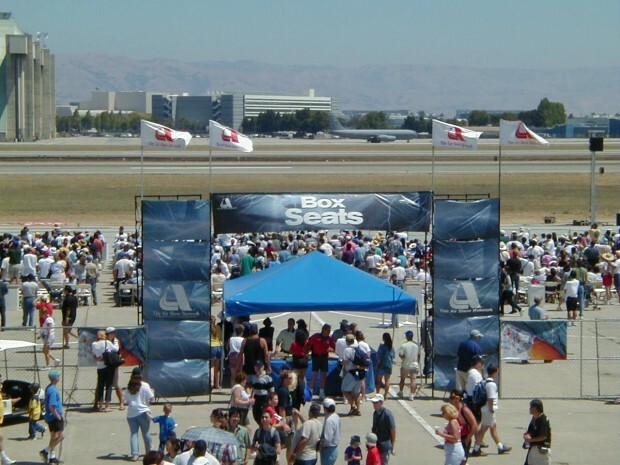 Flight Line Club is set at the flight line and it is not assigned seating. Seating area opens one hour after the gates open.